Doug Peacock is a legendary figure in the U.S. environmental movement who credits grizzly bears with restoring his soul. 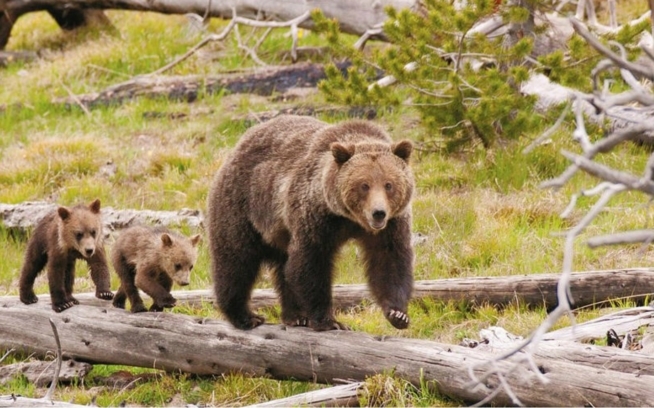 He has been the most consistent advocate for grizzly bears for the last 40 years, traveling between Yellowstone and Glacier national parks to film them and document their struggles to survive. His books include Grizzly Years: In Search of the American Wilderness (Henry Holt, 1990), ¡Baja! (Bulfinch Press, 1991), Walking It Off: A Veteran’s Chronicle of War and Wilderness (Eastern Washington University Press, 2005), and The Essential Grizzly: The Mingled Fates of Men and Bears (The Lyons Press, 2006) which was co-written with Andrea Peacock.